HOLLYWOOD—While Marvel’s “Black Panther” superhero epic is being hailed as a historic achievement in popular cinema for bringing the first black superhero—the eponymous title character who also becomes the king of an under-the-radar highly advanced African country called Wakanda—to the big screen in the leading role of a big budget studio film, it also serves as an ode to female empowerment. The highly anticipated action-adventure film arriving in theaters Friday Feb. 16 boasts a host of memorable female characters who possess physical strength and mental acuity. First, there is Nakia, a Wakandan spy who is highly disciplined, strong-willed, and can gives as good as she gets, especially when it comes to heir to the throne’s T’Challa (a.k.a. Black Panther played by “Get On Up’s” Chadwick Boseman), with whom she was once romantically involved. Her warrior skills match those of the Dora Milaje, Wakanda’s elite all-female security force, which makes her an exceptionally effective undercover operative. 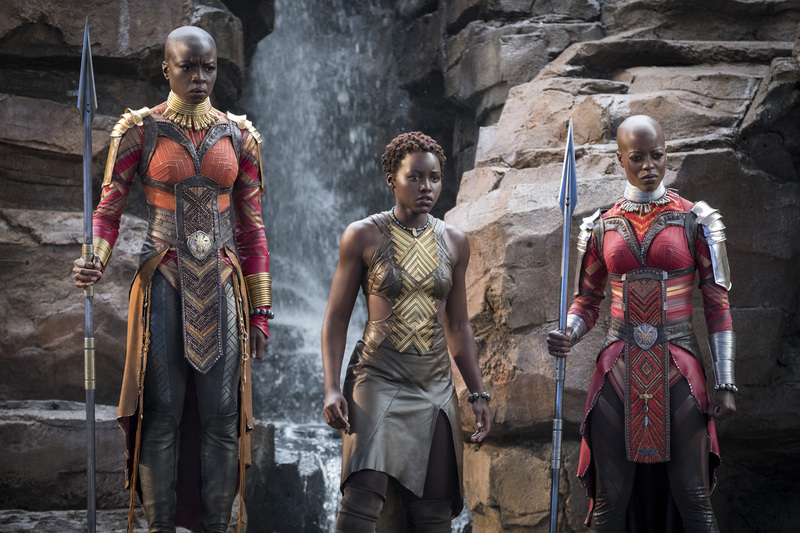 Played by Oscar winner Lupita Nyong’o (“12 Years a Slave”), Nakia is conflicted over whether she should be guided by her duty to her nation or her lingering feelings for T’Challa. Finally, Ramonda is T’Challa and Shuri’s steadfast mother. Her goal is to help T’Challa become King of Wakanda in a peaceful transition of power, and to serve as the de facto advisor to the throne. However, as things get complicated for her son when outside forces plot to invade the country for its rare mineral resources, she sets aside her political functions and instead focuses on her role as a mother whose sole concern is the physical well-being of her children. Ramonda is played by Oscar nominee Angela Bassett (“What’s Love Got to Do With It”). The maternal role comes naturally to this stalwart actress and real life mother of two. She unexpectedly found herself as the mother figure of the cast and embraced that with fulfilling results both onscreen and off. During a press conference, “Black Panther’s” female actors each spoke about their role, the deeper meaning of the longrunning comic book series arriving on the big screen and working with Ryan Coogler, the promising young African-American filmmaker that brought project all together. she could see their reactions on their faces that they were feeling the pride themselves. Gurira recalls that when she first sat down with director Coogler, he spoke to her about his vision, the story, the characters and the women. 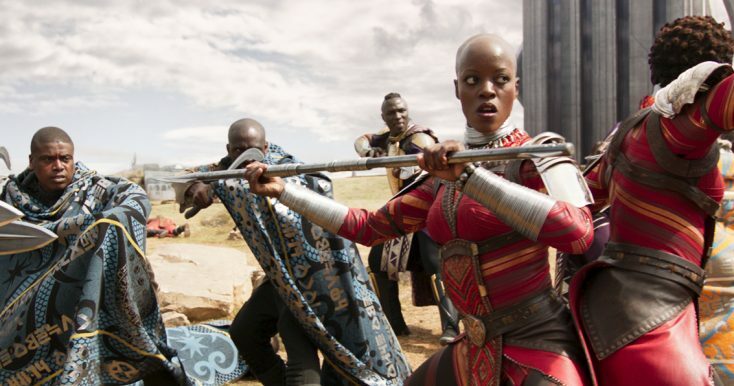 Gurira, who was born and raised in Iowa but whose father immigrated from Zimbabwe, recalls that she was the first of the warrior actresses to have her head shaved for the role. She admits she initially had some trepidation. The actress says one of her favorite moments in the movie is when her character grouses about having to wear a wig at in a scene set in a South Korean casino. 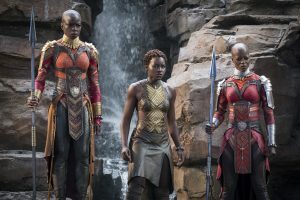 Gurira was fascinated by the look of Wakanda that Coogler and production designer Hannah Beachler created based on concepts from five decades of Marvel’s Black Panther comic book history, which were created in 1966 by Stan Lee and Jack Kirby. “What was really fascinating and almost very emotional for me being that I’m Zimbabwean (ancestry) and being that that’s something that you always kind of want,” she says. “You see the power and the potential of where you’re from, but you see how skewed it’s viewed by the world and how misrepresented it is and how distorted it is or received by the world so often. Director Coogler notes that women weren’t just onscreen, but many of the behind-the-scenes crew were female as well. “This film has involvement from brilliant women all over from start to finish (including executive producer) Victoria Alonzo, who is amazing and she was there from, from day one and our crew was just, hired women who were the best person for the job. They weren’t hired because they were women but because they were the best for the job. “Our cinematographer Rachel Morrison, our costume designer Ruth Carter, production designer Hannah Beachler and our assistant director Lisa Satriano, who was responsible for getting her team going. Post production the film was edited by Michael Shawver and Debbie Berman—who is from South Africa.